Every year or so, Google tends to introduce new updates to the algorithms of their search engines which ultimately makes the whole experience of web users using Google as a search engine better. 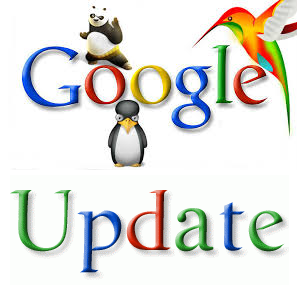 There have been many updates such as penguin and panda with one of the most recent being Google Pigeon which focuses on the algorithm for local searches. However, with every update Google brings, there are going to be winners and losers. The winners will tend to find they might get a slight increase in traffic. On the other hand, the losers will get drastic permanent drops in traffic. The problem is that no-one wants to be one of these loser websites dropping tons of traffic. For this reason, here are some ways you can guarantee you will never get caught out by Google’s algorithm updates. The biggest tip I have for any website owner is to not guest post for any other website any more. This does sound weird but, if you want to be safe, don’t guest post. I remember a time when I use to guest post once a week at least for others and I use to have my website filled with guest posts from others at least twice a week for months. The problem is that Google knows these are guest posts. Google knows that you are only writing an article to get that backlink to your website to increase your search ranking. They then punish those that have done this. I know this is happening because every week, I get around five emails from people I worked with years and years ago requesting I simply take their link out of the article because it is not helping them SEO-wise any more. Lesson to learn: Only get dofollow links from other websites naturally. If they are forced links, Google will know. If we can learn absolutely anything from Google’s algorithms updates (except for the above of course! ), it is that high quality new content will never get penalised but promoted. That is what the internet is based on. If you write about something that has already been wrote about, you will not get much traffic because there is content like that already out there many times on the internet. New quality content cannot be beaten and is the perfect remedy for a website struggling after a Google SEO update. If you want to learn how to search engine optimise articles automatically to help increase your organic traffic further, you can do so by clicking here.